Is Cable ready for more gains? 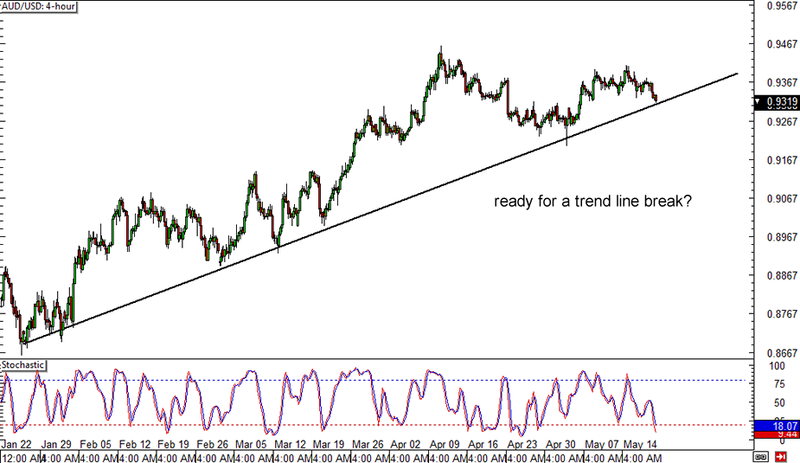 It looks like the pair is already bouncing off the rising trend line visible on the 4-hour forex time frame. If buyers are jumping in, GBP/USD might make its way back to its previous highs near the 1.7000 major psychological resistance. However, stochastic is indicating selling momentum for now, which suggests that another test of the trend line might take place. If sellers are strong enough, they could even push for a breakdown! They say that the trend is your friend… until the bend at the end! By the looks of it, AUD/USD is getting exhausted from the climb and might be starting its descent soon. As you can see on its 4-hour chart, the rising trend line is still intact but the pair just formed lower highs, suggesting that sellers are getting more aggressive. 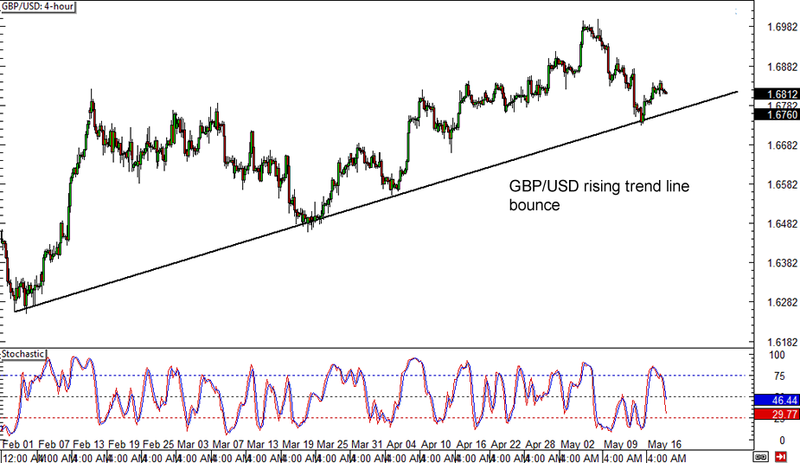 Stochastic is almost in the oversold region though, which means that a quick bounce could take place. Make sure you watch out for more clues from candlesticks if you’re playin’ this one. Ain’t a fan of trends? Find reversals more exciting? 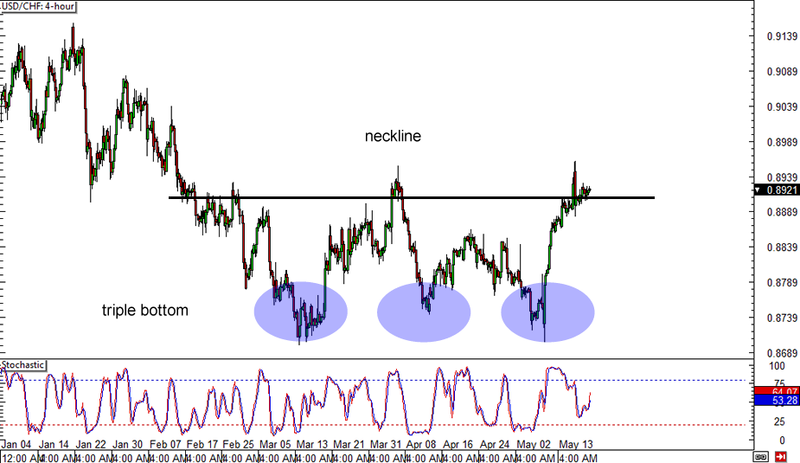 Then you shouldn’t miss this potential breakout play on USD/CHF’s 4-hour chart! The pair has formed a triple bottom chart pattern, indicating that the previous downtrend might soon reverse. Price has yet to break above the neckline of the formation right around the .8900-.8950 psychological resistance levels before an uptrend takes place. If that happens, USD/CHF might head north by roughly 250 pips, which is the same height as the formation.